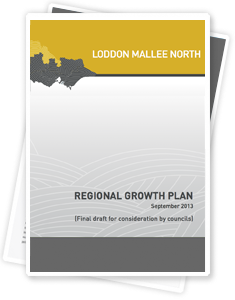 The Loddon Mallee North Regional Growth Plan is one of eight regional growth plans being developed across Victoria, together with the Metropolitan Planning Strategy (MPS). It is intended that the MPS and the eight regional plans will form the basis of the Victorian Government’s Vision for Victoria and will be translated into the future state-wide land use planning policy. 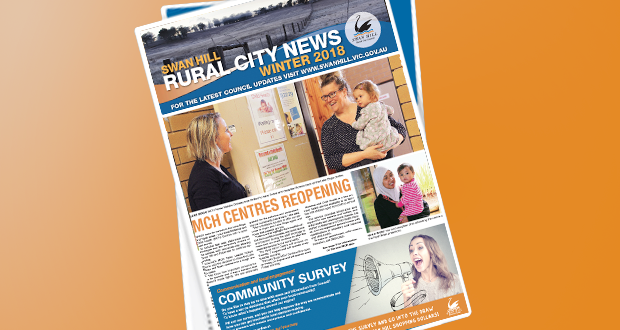 The Loddon Mallee North Regional Growth Plan is one of eight regional growth plans being developed across Victoria, together with the Metropolitan Planning Strategy (MPS). It is intended that the MPS and the eight regional plans will form the basis of the Victorian Government’s Vision for Victoria and will be translated into the future state-wide land use planning policy. Swan Hill is within the Loddon Mallee North Region, and at the Council Meeting of 17 September 2013 the plan was adopted.